Available for pre-order until March 12, when the book becomes generally available. 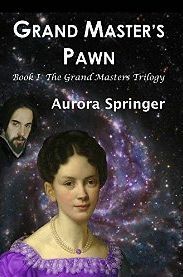 Violet hunts for the truth about the Grand Masters. With his allies at war, the Paran must risk the life of the woman he loves to take the one action he never thought he would: fight for the leadership of the Tolari ruling caste. After the lights go out and modern civilization ends, Joshua must learn to trust people again and accept Chris’s help if they both hope to make it through the winter. The world is plunged into darkness, sending the lives of Eli and David colliding into each other in unexpected ways. Alex has never had luck with love, and he doubts the apocalypse is going to do much to change that, until he takes a chance on Mateo. Born an illegal clone in a secret laboratory orbiting Jupiter, Angel is kidnapped into a whirlwind roller coaster ride across the galaxy with alien Cats, pirates, and humans who consider her an abomination of science.